70 craft beers, wines and cocktails on the highest rooftop in Charleston? 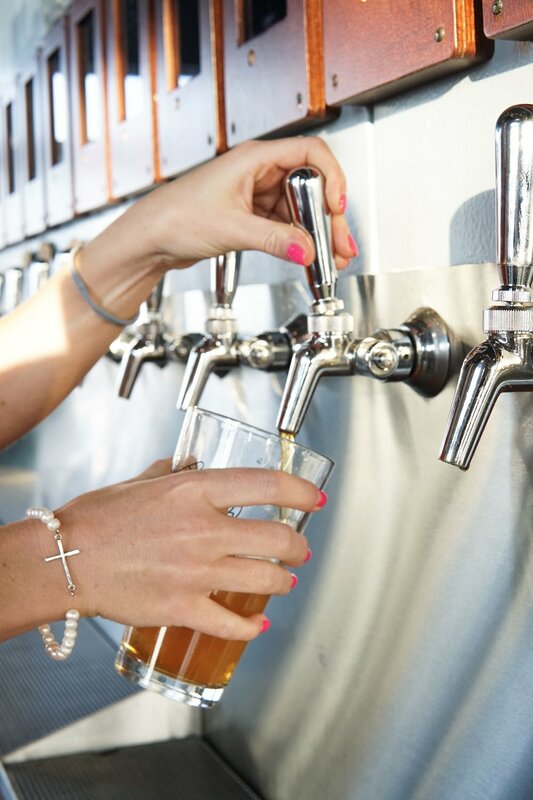 That’s Pour Taproom, one of a few rooftop bars in town and the one you want to check out if you’re a beer fan. I joined the Tastemakers crew at Pour for an afternoon Happy Hour filled with good brews and eats. 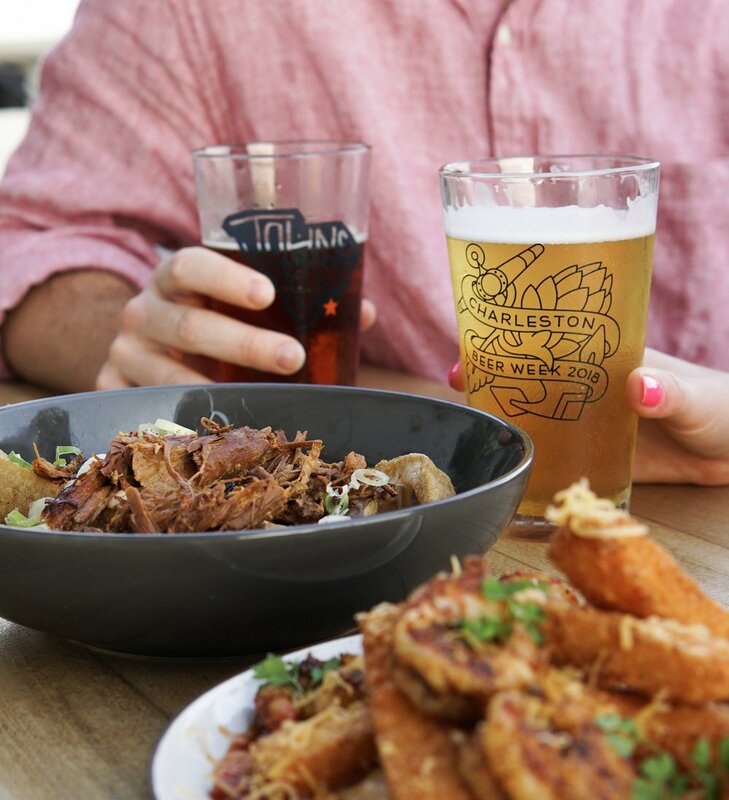 Situated on the top floor of the Hyatt Place in Downtown Charleston, Pour Taproom is known for their pour your own tap system, where you can pay by the ounce and try anything you want - letting you sample as you find your new favorite beer. And there’s lots to choose from (55 beers and ciders to be exact) including local options from Edmunds Oast Brewing and Revelry. After riding up the elevator to the top floor, the first thing you notice is the incredible view of the peninsula. Situated on Upper King, you have a literal birds eye view of the Holy City. In the middle of the space is the 70 tap system, with beer, wine, cider and cocktails. After filling our pint glasses, we went out to the rooftop to sample the food menu created by Chef Dean Szablewski. All of the bar favorites you’d expect make an appearance (ie. wings) as well as a few unique surprises including their take on Shrimp and Grits. Using Geechee Boy Mill Grits, the grits are formed into a fry, which makes it a much more sharable version of this Lowcountry Classic. The Southern Poutine, however was a favorite with thick hand cut fries topped with white cheddar cheese curds and a Lowcountry tasso gravy. Some of the best views of the Lowcountry, combined with great food and an extensive beer, cocktail and wine selection create a really unique rooftop experience. Pour is located right on Upper King at 560 King St in Downtown Charleston.